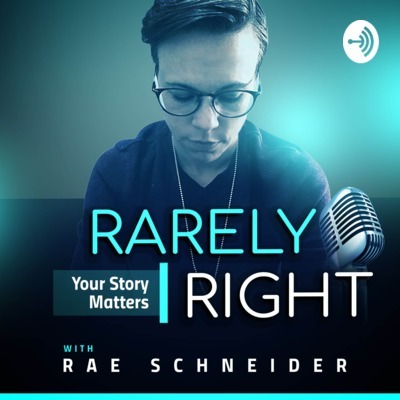 Author Rae Schneider is a counselor (and listener) who has been partnering with non-profits for the last 8 years to help individuals in high-risk environments get the mental help they need. The vision for the Rarely Right Podcast is to extend that same heartbeat - that everyone deserves to be heard. The world can be a lonely place, but it doesn’t have to be. Here at Rarely Right, we want to celebrate stories, authenticity, and discuss life. Mental Health Awareness, National Coming Out Day, and an honest conversation around the fact I'm struggling too. Healing happens on a timeline that makes sense to you. Hope is one of the scariest, but most powerful emotions we encounter as humans. Somewhere along the way, I misunderstood the phrase, "Compromise is selfless". Compromise, instead, creates a self-less space. A space where your needs have been fractured again and again under the wants of other people. Sometimes we misunderstand the giving for others, for the stealing from ourselves. One life. That's all we have. Refuse to be content. I'm calling for the dismissal of our focus on living in the black and white. Its just not possible. Life happens in the gray. This week I'm distracted. Have you ever wonder if your distractions are telling you something? Changing negative narratives that are disrupting our hearts and lives isnt easy - its hard. The only way to counter those words that keep hurting our spirits is to create a positive shield to guard and redirect us. What if we were more thoughtful around the food we put in our bodies? If we are focused on self love, then the energy source for our bodies matters too. Food. Lets talk about it. There will always be struggle. I think that’s a statement we all need to wrap our heads around. Whether it’s your career or your personal life - the goal of life should never be to find a place without struggle. There is no such place and chasing after a ghost like that can leave the soul feeling angry and empty and lonely. Patient does not equal passive. Confidence has nothing to do with arrogance, but the understanding of self worth. Confidence is saying I’m enough as I am and I’m going to fight for what I deserve. In one conversation I was faced with a reality that had always walked with me, even if I never acknowledged it or knew to do so. Which means the timing of my acknowledgement had no dictatorship over the actual wiring of my mind or heart. Have you ever looked up the definition of independence or independent? “not influenced or controlled by others in matters of opinion or conduct” - Isn’t that powerful? Let this question sit on your heart today... Why don’t we ever celebrate our own independence? There is a difference between wounds and scars - in this podcast we explore that difference and how to begin the healing of festering wounds. The key to relationships is not a magic mix of perfect steps, but a willingness to be wholly authentic and fully present. Second chances are healing, growing, sometimes insanely simple moments that remind us we are not defined by our past but by our response to it. We, as human beings, are not meant to be alone. 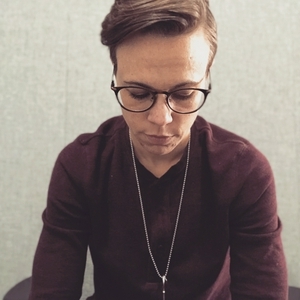 This podcast begins the conversation around our need for connection.